BEDFORD, IND – The Rams varsity baseball team took a trip this past weekend, but it wasn’t for Spring Break like the rest of their classmates. Instead, the Rams traveled to Indiana to take on the Stars of Bedford North Lawrence High School (BNL) on the diamond, Friday, April 5. Rockford was able to win the first game handily, by a 4-0 score, but the second game of the double header ended up being a marathon. The game was knotted at four through six innings and it took until the bottom of the 13th for the Stars to claim the 5-4 victory. After two victories over Lowell to kick of their season, the Rams are now 3-1 on the year. In the 4-0 victory, the Rams tallied three runs in the top of the second and followed that up with one run in the top of the third. Grant Martin started off the second with a walk, with Luke McLean and Alex Miller following with doubles to move the score to 2-0. A Stars error allowed Miller to score to move the score to 3-0. The final Ram run came in the third on a sacrifice by McLean to score Joe Kelley, who earned the base path on a Stars error. Ram Zach Marshall threw a strong game in the shut out, going five innings to earn the win. Marshall threw 92 pitches and gave up only four hits and three walks, while striking out six. Joe Degarmo and Jake Engelkes each threw an inning for the Rams. The Rams, as a team, were 7-for-28 at the plate. 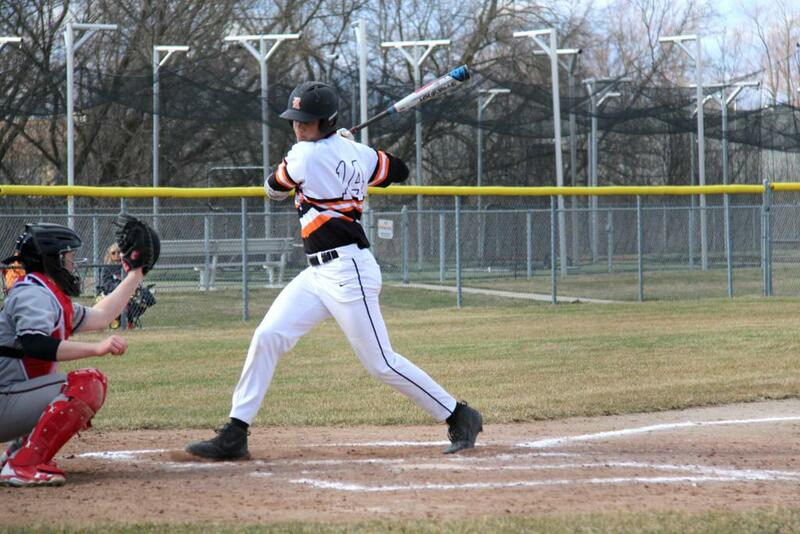 Brendan Schueller and Engelkes paced the Rams, going 2-for-3 at the plate. Miller was 1-for-3 with a double that netted two RBI. McLean tallied a double and an RBi, and Joe Kelley registered a hit. In the second game, the Rams claimed the scoring three runs in the top of the third, after two scoreless innings. Caleb Engelsman started off the inning for the Rams with a single. Jack Richardson followed that up with a masterful bunt earning a single and moving Engelsman to second. Both runners advanced on a passed ball and set the stage for a score on an Owen Cairns sacrifice. Zach Schamp doubled to center field to plate Richardson to move the score to 2-0. Schamp was able to advance to third on a wild pitch and then scored when the Stars pitcher balked to move the score to 3-0. The Stars were able to plate two runs in the bottom of the third to 3-2, with the Rams still in the lead. The top of the fourth found the Rams scoring one. McLean netted a single and stole second to move to scoring position. Engelsman answered the call, rapping a line drive to right field to score McLean and move the score to 4-2. The Stars were able to get one back in the bottom of the inning to move the score to 4-3, which is where it stayed until the bottom of the sixth when the Stars plated a run to knot it at four. Outs were plenty and baserunners were few in the final seven innings, with NBL being able to finally push one over in the bottom of the 13th with a walk off single on one out to claim the game. The Rams were 11-for-49 at the plate in the 5-4 loss. Englesman was 3-for-5 with an RBI, and Cody Sterkenburg was 3-for-5. McLean went 2-for-6 at the plate. Schamp (2B), Engelkes, and Richardson tallied a hit apiece, with Schamp and Cairns each registering an RBI. Isaac Toole threw two innings, giving up two runs on no hits and six walks, while striking out two. Bayley Slater threw two innings and gave up one run on two hits and one walk, while striking out two. McLean was on the mound for six innings, giving up only one run on three hits and one walk, while striking out four. Martin threw the final two innings, giving up one run on two hits and one walk, while striking out two, and suffered the loss. Next up for the Rams is a home contest, Tuesday, April 9, against East Kentwood to start off their conference schedule. The double header starts at 4 p.m.